I'm sure given enough space and resources, I would have made all of these by now! Top tip for moving out: Find a place with a big kitchen! 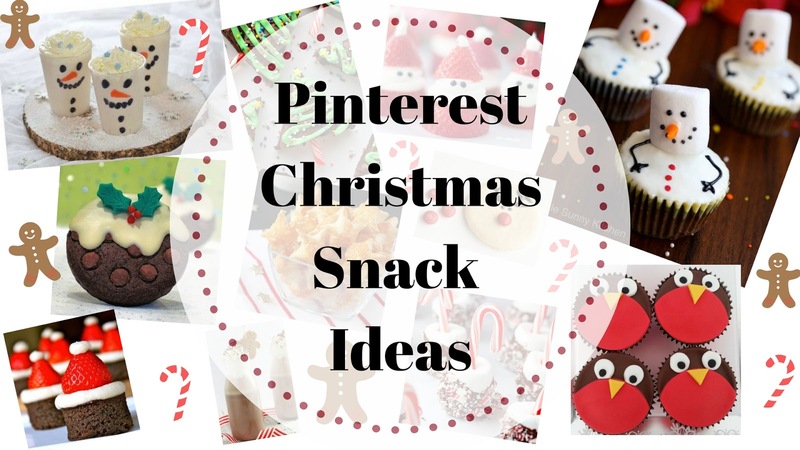 So, as I probably won't be getting messy in the kitchen this Christmas, I've put together some snack ideas if any of you fancy getting creative or helping towards those Boxing Day buffet treats! This idea is super quick and fun, as well as being really versatile. If you didn't want to make a smoothie, you could always treat yourself to a milkshake or snow-coloured alternative! Depending on if you want to make the brownies from scratch (or just use a packet mix) these can be pretty quick to make! I still really want to try my hand at these, so if I do get the chance then I'll be sure to let you know how I get on! I very much enjoy the idea of these, as these don't even require baking! They look like the easiest things to make! For an even healthier alternative, you could substitute the cream for a slice of banana! I think these would be great to make with children! Excuse the pun, but these totally melt my heart! I love this idea! Cookies are so easy to make with or without a pre-made mix, so all you really need to do is add some melted chocolate and coloured icing for the holly decoration! My mum actually makes these every year for our selection of Christmas family buffets! I think hers are more like thin scones, but either way, they are SOOOO good! These would be hard to disappoint any cheese lover. These are definitely the most minimalistic, yet possess the cutest design! Such an easy recipe too! These are very similar to the Strawberry Santa's, although me having quite the sweet tooth, I couldn't not include the brownie alternative! I love this idea! Although I'm not too sure how it would taste, I'm interested to try it! What do you think? These sound really interesting! I'm not sure what they would be like, however if you're into marshmallows and peppermint, then these would totally for you! Is it just me or do Robin's seem really far and wide when it comes to Christmas these days? These cupcakes do look slightly trickier to make, but definitely worthwhile if you're feeling skilled enough! I think that's all for my recent pins and ideas! 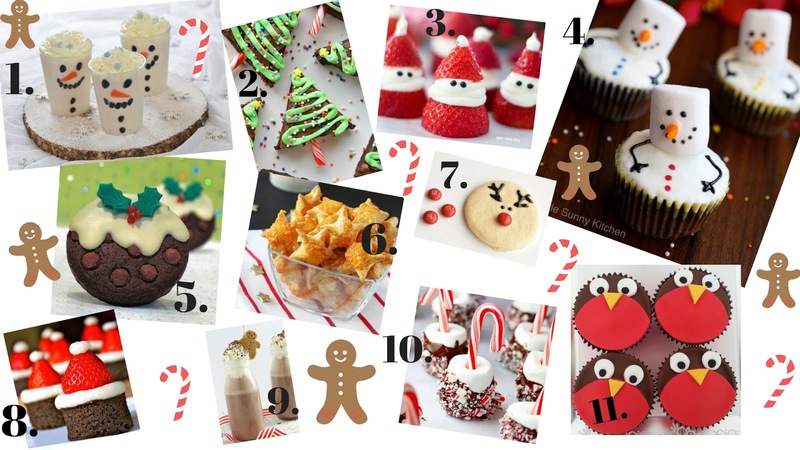 To see my whole Christmas board with baking ideas and more, follow me here! The snowman cupcakes and christmas cookies looks so cute and yummy! Sadly I don't think I'll be making any snacks in the kitchen this christmas either, but it's so nice to at least get to see it! Those Santa hat brownies though!! !